Read our January 2019 update. Over 24 months on from the Brexit vote in June 2016 and we are starting to see the impact of that decision on the Irish tourism sector. From the outset, there was little doubt that if the UK left the EU, the tourism industry in Ireland would be affected as the UK is our largest single geographic source market. In an article written in June 2016, we predicted that the UK’s vote to leave the EU would impact the Irish tourism sector in a number of different areas, in particular a fall in UK visitors to Ireland and a shifting of focus to other markets. A year and a half later many of our predictions are becoming reality. UK visitors to Ireland peaked in 2006 with almost 4.1m visitors. With the impact of the subsequent economic downturn this dipped to 2.77m in 2012, but subsequently recovered to 3.9m in 2016. However, since the Brexit vote the euro has strengthened significantly against the British Pound making Ireland a more expensive destination and UK visitors have declined to 3.7m in 2017. This trend has continued into this year with trips down by over 4% for January 2018 compared to the previous year and by 5% on a rolling 12-month basis. The expectation within the sector is that this geographic market will continue to decline, however at what pace and level is unknown. This decline in visitors from the UK over 2017 is further compounded by the fact that outbound travel from the UK is actually up for the year. According to the UK Office for National Statistics, outbound travel increased in 2017 (January to October) by 3%. Whilst this shows a slowing in growth for their outbound travel sector (the previous period grew by 9%), it highlights the fact that Ireland is losing market share. The decline in UK visitor numbers has been countered by significant increases in two main other markets: North America and Other Europe. Over the last ten years (2007-2017), while the UK visitor market to Ireland declined by 8%, the North American market increased by 96%, Other Europe increased by 34% and the Rest of the World by 95%. In 2017, Other Europe accounted for 3.5m visitors and North America for 2.1m visitors. Also, in revenue terms the losses from the UK market have been largely offset by gains from these other regions, which deliver a higher spend per person and a longer average stay. In 2017 (Jan-Sep) the UK visitor had an average spend of €273 compared to €517 for other European countries, €730 for North America and €931 for Other Areas. In a recent ranking the North American market had overtaken the UK market, increasing from €1bn in 2014 to €1.7bn in 2017. The UK market only grew from €1.3bn to €1.5bn within the same time period. In 2018, we should expect to see growth in the Asian market with a new access route opening up with the introduction of direct flights from Hong Kong and Beijing to Dublin. Fáilte Ireland is working with hotels and tourism businesses on a China Welcome Programme in advance of the potential for this large market. The Northern Ireland market remains an important leisure market segment for the border counties and in a sentiment survey we undertook just after the Brexit vote, 75% of border county hotels expect a decline in occupancy levels in 2017 which has largely been borne out. Some hotels have responded to this by focusing on other markets, which are continuing to show positive year-on-year increases. 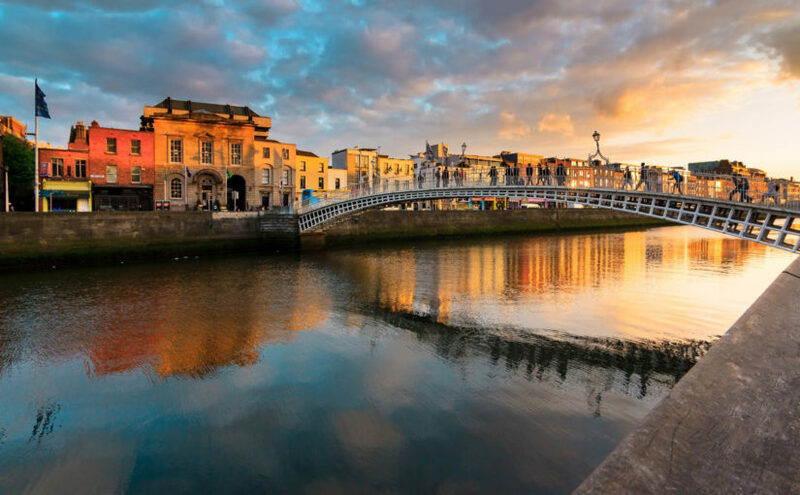 This is in line with the continued focus by Tourism Ireland on emerging markets and specific destinations within existing markets, such as the German market, for example. 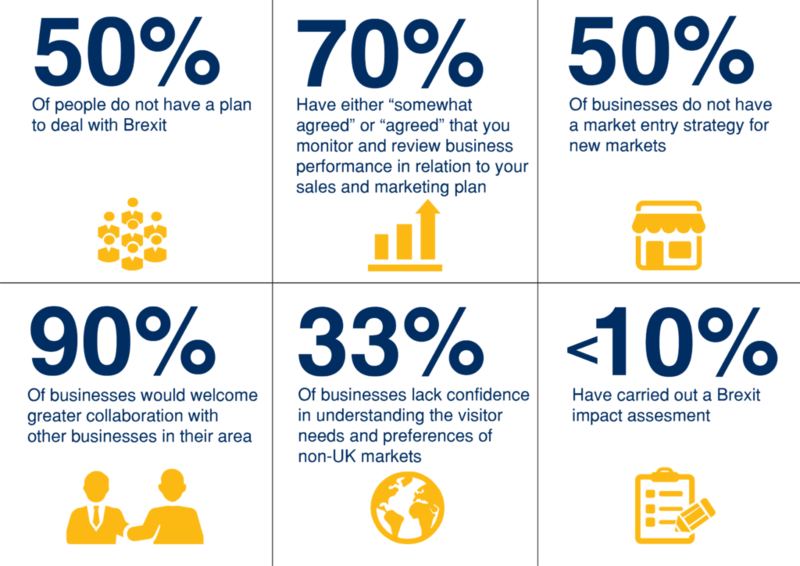 In 2017, Crowe partnered with Fáilte Ireland to develop an online “Brexit Readiness Check”, a self-assessment tool for tourism businesses www.getbrexitready.com. The objective is to help tourism business assess their level of readiness for Brexit. On completing the survey, participants are provided with a brief diagnostic report that will record their current state of readiness to deal with current and future challenges posed by Brexit. The survey can be used across a diverse range of tourism businesses, from large businesses, such as large hotel chains and large scale visitor attractions, to small businesses, such as bed and breakfasts and local activity providers. Although the above figures outline that tourism businesses are not as well prepared as they could be, there are a number of reassuring sentiments. For example, almost 64% of participants said they would either maintain or increase their marketing spend in the UK market. In addition to this, nearly 50% of users answered that they have improved some of the areas in the business where they could reduce costs and improve competitiveness. Although we are eighteen months on from the Brexit vote there are still a lot of unknowns. While the Irish Government pushes for a soft border in Northern Ireland this and other trade agreements have yet to be finalised. Concerns remain over potential job losses due to export restrictions and many sectors remain cautious. However, tourism businesses largely remain positive with hoteliers projecting a continued increase from international visitors in 2018 and Tourism Ireland projecting a growth in visitor numbers to 10.8 million by the end of this year. We believe Brexit should act as a catalyst for tourism businesses to review and update their sales and marketing strategy. If there is an opportunity to diversify and target new markets they should create a market entry strategy. The need for future planning and preparation is more important now than ever – remaining competitive will be central to sustainability and growth for tourism businesses. Each business should carry out a robust assessment of the potential impact of Brexit to identify potential risks and opportunities. By preparing for the worst, tourism businesses will emerge stronger as they review all aspects of their operations, effectively futureproofing the business. The absence of a plan means the absence of a response to a critical issue that is changing the tourism landscape in Ireland. Fáilte Ireland is providing training and supports programmes helping local businesses prepare a strategic and operational response to the threats posed by Brexit.